If you are like many adults, you probably assume that your physician knows how to treat low testosterone in males who are suffering from Low T symptoms. 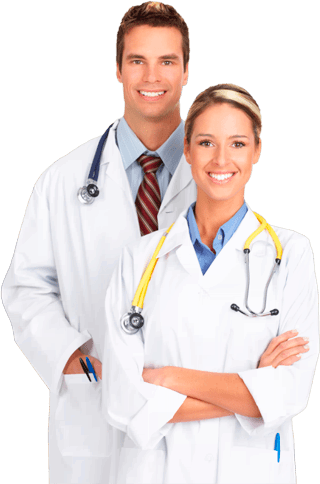 And although it is a logical assumption for anyone to make, knowing that testosterone replacement therapy is widely accepted as the appropriate treatment for adults with male hormone deficiency symptoms is not the same as providing patients with the testing and treatment protocols used for correcting this disorder. 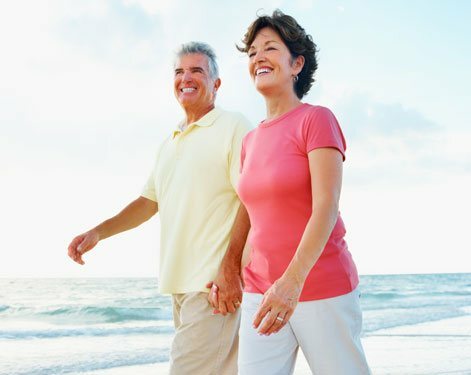 Hormone disorders is adults are often diagnosed and treated by specialists such as urologists and endocrinologist who have focused their medical practices on these particular medical problems. It is quite possible that your own physician would refer you to a specialist if you were to report your symptoms to him or her and ask about getting treatment for them. This might seem to you like an additional and inconvenient step that you were hoping to avoid; but the simple fact is that general practitioners often refer their patients to specialists for medical issues that are outside of their own professional training and experience. But assuming that seeing a doctor who specializes in TRT (testosterone replacement therapy) is going to be an inconvenient hassle for you would also be making an inaccurate assumption. Since the beginning of our current century, an increasing number of highly respected and fully licensed medical specialists in the US have been basing their professional practices online in order to allow patients to have nationwide to access them via the Internet. As one of those online specialists, Nexel Medical has incorporated several key innovations into the procedures used to test and treat adults who have Low T symptoms that have made it incredibly for our patients. And even more importantly, our TRT specialists at Nexel Medical are extremely experienced doctors who fully understand how to treat low testosterone in males safely and successfully. So this serves as a good example of why it is often dangerous to make assumptions based on something that you may have heard or discussed with your friends in the past. Getting high quality medical treatment for your Low T symptoms has become easy and convenient for today’s adults, thanks to forward-thinking medical professionals who have utilized digital technology to accomplish this. What’s Involved in Treating Low Testosterone with Injections? Among the general practitioners who currently provide qualified patients with Low T therapy, the topically applied gels and creams that you have probably seen being advertised during the past few years are the primary forms of treatment that they will typically prescribe. However, the form of TRT that has been in medical use for far longer is the use of injectable testosterone. For decades the use of injections was the only treatment method available for how to treat low testosterone in males with Low T symptoms; and among TRT specialists worldwide, it is still the most widely prescribed form of treatment. The use of testosterone injections has a long and clinically documented history of consistently providing male patients with substantial relief from their troublesome symptoms along with other health-supporting benefits. TRT specialists know this, and it is why it is the form of treatment that they predominantly recommend to their adult male patients. It is also consistently more affordable for patients to use this form of treatment, which is a significant factor to those who are going to be financially responsible for the cost of their ongoing treatment. Its affordability is due to the fact that injectable pharmaceutical testosterone has been available for many years and seen substantial cost decreases, and the fact that this form of Low T treatment is only administered a few times a month by patients versus the daily applications that the newer topical forms require. However, the use of self-administered injections for how to treat low testosterone in males does involve the patient learning how to correctly prepare and use his own injections at home (which also keeps this form of treatment affordable). Most patients find that learning how to do these things for themselves is a much quicker and easier process than they originally thought; and given the proven record that the use of testosterone injections has established for effectiveness and low risks, the learning process is well worth the results patients receive. Today, most online TRT medical providers have easy to follow video instructions that are instantly available to their patients on the Internet. How Effective Are Patches, Gels and Other New Low T Therapies? The way in which the various forms of TRT are designed to work is by getting supplemental bio-identical testosterone into the bloodstream. Keep in mind that if a patient has no symptoms, treatment will generally not be recommended even if his androgen (male hormone) supply has fallen below the normal range. So in recommending how to treat low testosterone levels in males who have developed obvious Low T symptoms, which include hair loss, low libido, erectile dysfunction, chronic fatigue, moodiness and/or depression, low energy, weight gain, and muscle loss, TRT specialists must evaluate each patient’s individual therapeutic requirements and physiological factors. As noted previously, these doctors have the longest history with the use of testosterone injections, which are injected into muscle tissue and then slowly absorbed into the patient’s circulatory system. They rely on this form to produce the desired results for their Low T patients while exposing them to minimal risk for experiencing any adverse effects. Oral testosterone treatments in the form of pills or tablets that are not absorbed into the bloodstream are still attached to too many unanswered questions about their potential to cause liver damage for most doctors to feel comfortable about prescribing. And among the other forms of treatment that are absorbed into the patient’s bloodstream, the therapeutic results that have been evidenced thus far have not been as consistently effective as the use of injections for how to treat low testosterone levels in males. But most men are understandably curious about them and for some patients, the gels that are applied directly to your skin or inside your nose daily; the oral patches that are applied twice a day to your upper gum tissue; the adhesive skin patches worn on your upper arm that are changed daily; and the time-release pellets that are implanted into soft tissue are viable treatment options. All TRT programs at Nexel Medical are individually prescribed by our doctors to provide each patient with the form and dosage of treatment that will produce the best results for that particular patient. However, you don’t have to wait for an appointment to learn more about the advantages and disadvantages associated with any of these forms. You can simply call Nexel Medical directly whenever it is convenient for you and receive as much information about TRT as you’d like.